Leadership Management International (LMI) UK has entered into a delivery partnership with Nescot College to help train and develop the next generation of managers and leaders. The delivery partnership will provide companies looking to invest their apprenticeship levy, with two new Government approved, specialist apprenticeship alternatives, both of which will develop the existing skills of employees. The apprenticeship levy currently obliges employers with annual paybills over £3 million to pay 0.5% of their bill into an apprenticeship fund, with contributions made each month, which can then be reinvested into staff training via approved apprenticeships. However, for those employers struggling to find relevant programmes and qualifications to invest their money before the 24-month deadline, there is an urgency to invest apprenticeship levy funds into programmes that deliver tangible benefits for the business and the individual. To give businesses more options on how to invest their levy, LMI-UK and Nescot College have combined their expertise to develop two new specialist courses that meet current apprenticeship standards. The new Level 3 Team Leader/Supervisor and Level 5 Operations/Department Manager courses will now be made available to organisations looking to invest their funding and upskill their existing workforce. Nick and the team at LMI-UK, will deliver courses that allow organisations to invest their funding effectively, whilst developing their people and driving productivity improvements. The Level 3 Team Leader/Supervisor apprenticeship costs £5000 and runs over 18 months, whilst the Level 5 Operations/Department Manager programme costs £9000 and takes 24 months to complete. The development is expected to nurture several new relationships between LMI-UK, Nescot College and organisations determined to make the most of the Government’s apprenticeship levy. Nick Howes, Director at LMI, said: “The attraction of the delivery partnership is that it will ultimately benefit everyone involved. I believe that is why we have been successful in developing these two new courses for the College, which can see the long-term benefits. “These two new apprenticeships encapsulate the very idea of a modern apprenticeship; we’re offering new skills that can only enhance the careers of all those completing the courses; there is no age limit too, which will help organisations plan their future leadership needs. “Combining our experience of developing and delivering management and leadership training programmes, with Nescot College’s award-winning track-record of apprenticeship delivery, we have created two unique programmes that will give employees the skills and perhaps more importantly the confidence to become the leaders they and their employers need them to be. 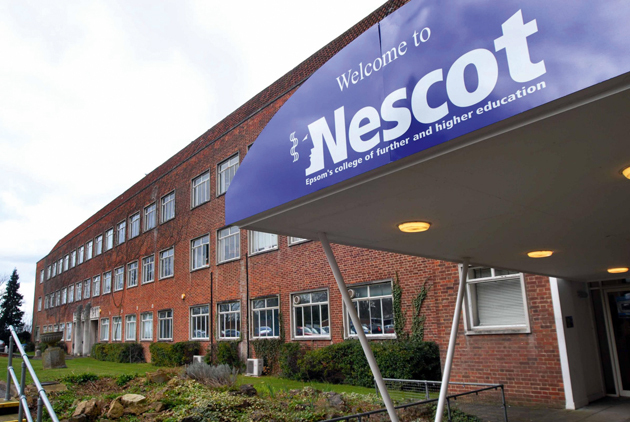 James Jennings, Head of Apprenticeships at Nescot College, said: “A lot of time and effort has been invested in the development of these new courses and to see them as finished products has made it all worthwhile. “Already organisations are showing a great deal of interest. The first of these new programmes has been launched successfully with a prestigious global industry association having 25 of its people begin the Level 5 Operations/Department Manager apprenticeship. “It is our aim to ensure apprenticeships are relevant to modern organisations and strengthen their workforce with additional skills; strong businesses create opportunities for employment. “We spent time with Nick and the team at LMI-UK carefully planning the content of the courses and pinpointing areas for training and development based on employers’ requirements, and I believe the new courses will be extremely effective in helping develop people to their full potential. Our latest Total Leader Newsletter is available and you can download it via the button below. People are the real secret to increasing productivity. The article in the Daily Telegraph was interesting and bears this idea out. For details on how to increase personal productivity, check out our Effective Personal Productivity Programme. Why real book are better than ebooks. It’s no secret that reading is good for you. Just six minutes of reading is enough to reduce stress by 68%, and numerous studies have shown that reading keeps your brain functioning effectively as you age. But not all reading is equal and not all media are as effective. In this article, the authors review Norwegian university research that reveals the science of why this is the case. http://www.lmi-uk.com/wp-content/uploads/2017/08/lmi-logo-1-300x138.png 0 0 The Editor http://www.lmi-uk.com/wp-content/uploads/2017/08/lmi-logo-1-300x138.png The Editor2015-01-19 09:00:192018-06-26 09:14:51Why real book are better than ebooks. All at LMI-UK were very saddened to hear the news on Friday, 9 May 2014, that Dr. Donald L Kirkpatrick had died. He is noted as the man who almost singlehandedly made the industry aware of the critical importance of measuring training effectiveness and exerted immeasurable influence on learning and development. His four levels of training evaluation became the industry standard for measuring the impact of training programs and has been promoted by LMI since Sam Maitz met him in 1994 when he attended the International ASTD Conference. Dr. Kirkpatrick was closely related to the American Society for Training and Development and was a past president of the organization. Successful people set goals, and they make certain alltheir actions and activities contribute to the achievement of their goals. They take action in a logical, reasonable, and organized manner to attain the results they have identified as important to them. Successful people increase their productivity through controlling their priorities.